The world's largest smartphone market, China, isn't so hungry for the products anymore. First quarter smartphone shipments there dropped by 4 percent year over year, according to research firm IDC. It's the first time in six years that China's smartphone market has contracted, signifying that the country's appetite for the handsets is reaching its limit. The number of shipments to China was still high, at 98.8 million units. IDC expects the market to remain flat for the rest of the year. To drive future growth vendors in the country will have to convince existing users to upgrade to newer phones, IDC said. Apple has been having a great deal of success in that area. With its iPhone 6 and iPhone 6 Plus, it was China's largest smartphone vendor with a market share of 14.7 percent, up from 8.7 percent a year earlier. Competition is so fierce in the market that before Apple took top spot, three other companies had taken turns over the past five quarters: Samsung Electronics, Lenovo and Xiaomi, IDC noted. According to analysts, vendors are reacting by expanding outside of China into emerging markets such as Southeast Asia. Last year, Lenovo's CEO Yang Yuanqing said the "hyper-growth" in China had ended, adding, "If you want to win you have to find new growth areas." 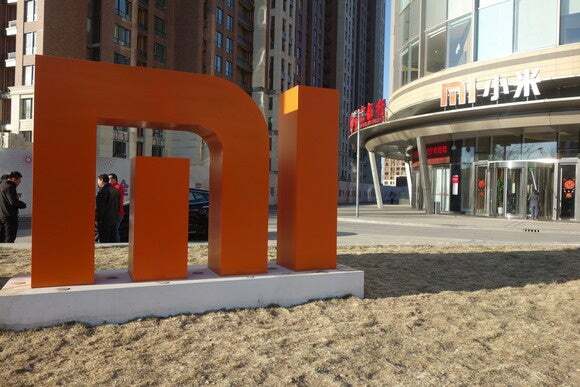 Fast-rising Xiaomi is also focused on international expansion and last month it introduced a phone for the Indian market. In addition, Chinese vendors are also trying to offer higher-end smartphones, when their past products tended to focus on the low-end. Last week, ZTE launched a pricier smartphone, starting at 3499 yuan ($575) that comes with a bezel-less screen.